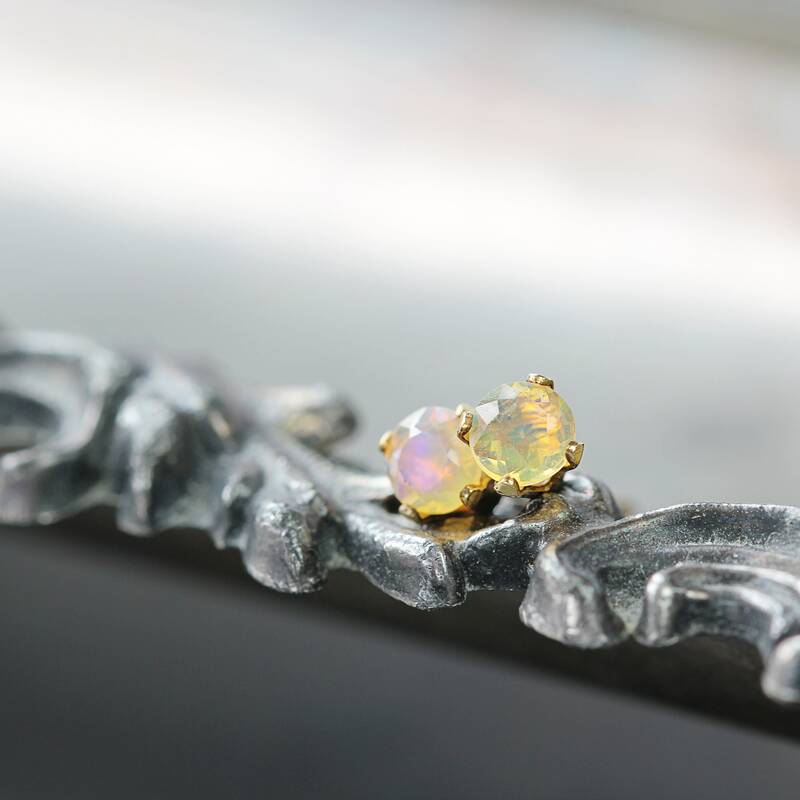 These pretty little Ethiopian Opal stud earrings have flashes of fire, and and a touch of twinkle, to light up your day. 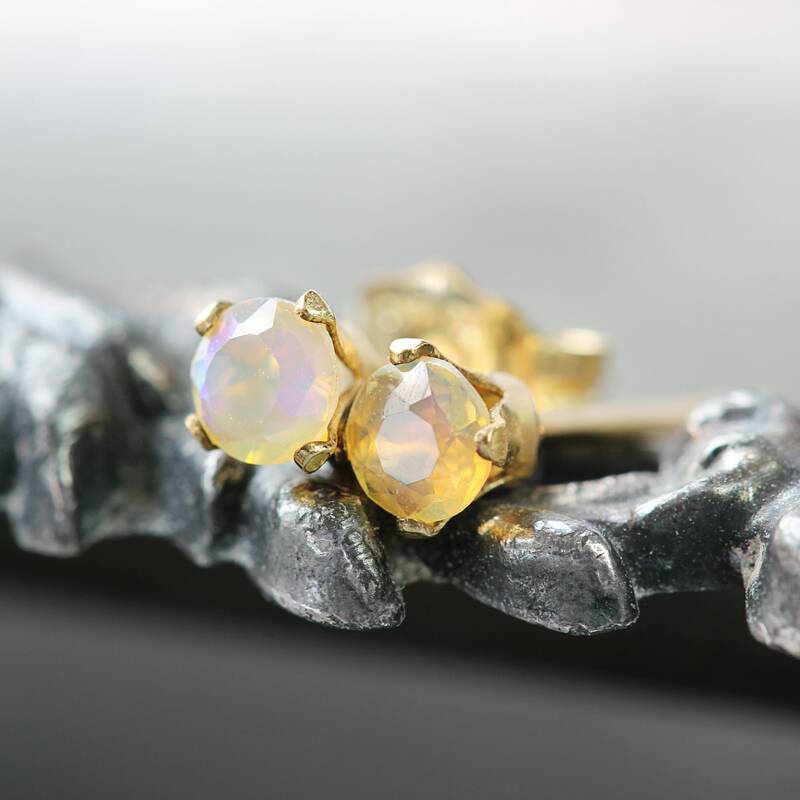 Great for everyday or special occasions. 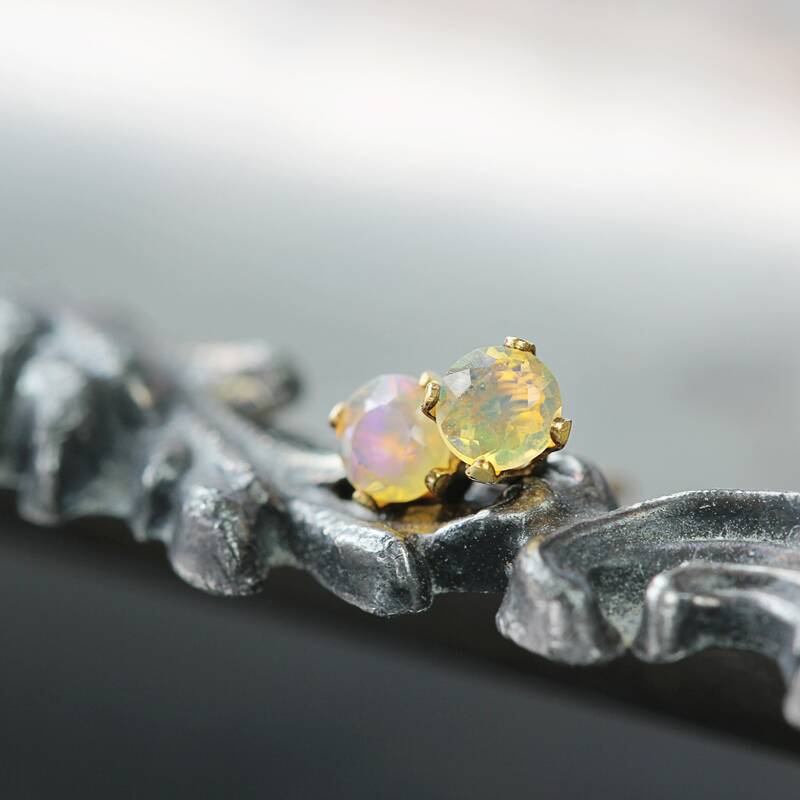 Featuring stunning little 3mm (genuine!) 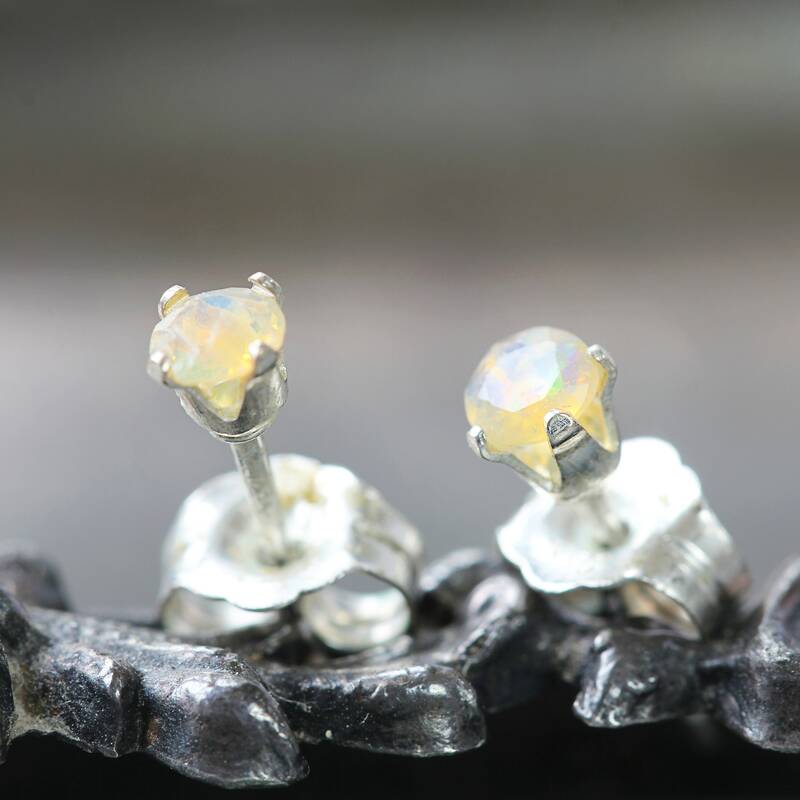 Opal stones from the Welo opal mine fields in Ethiopia. 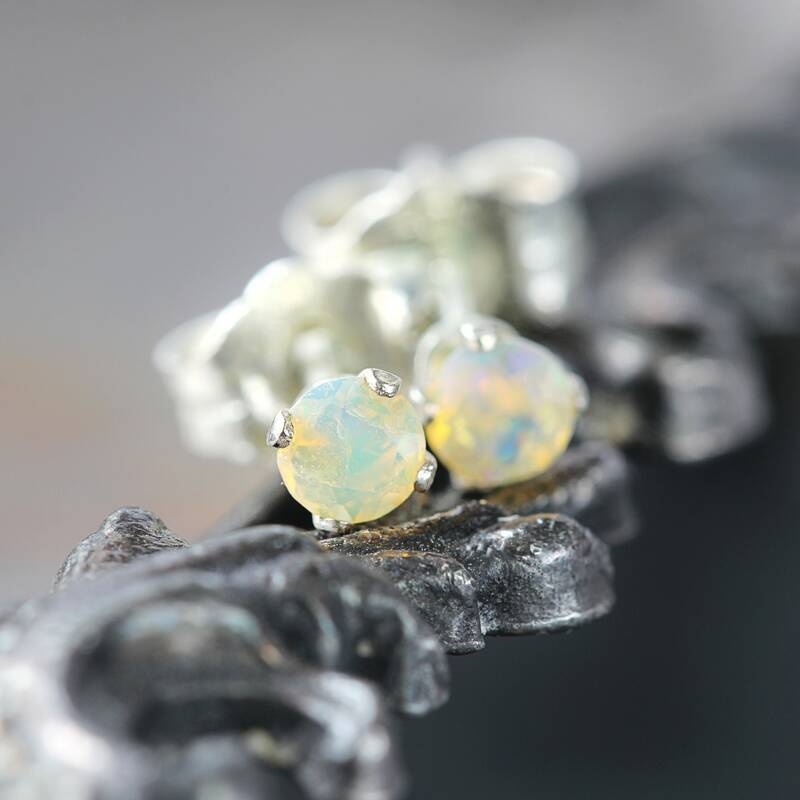 Beautifully clear and sparkly with a gorgeous opalescent glow. 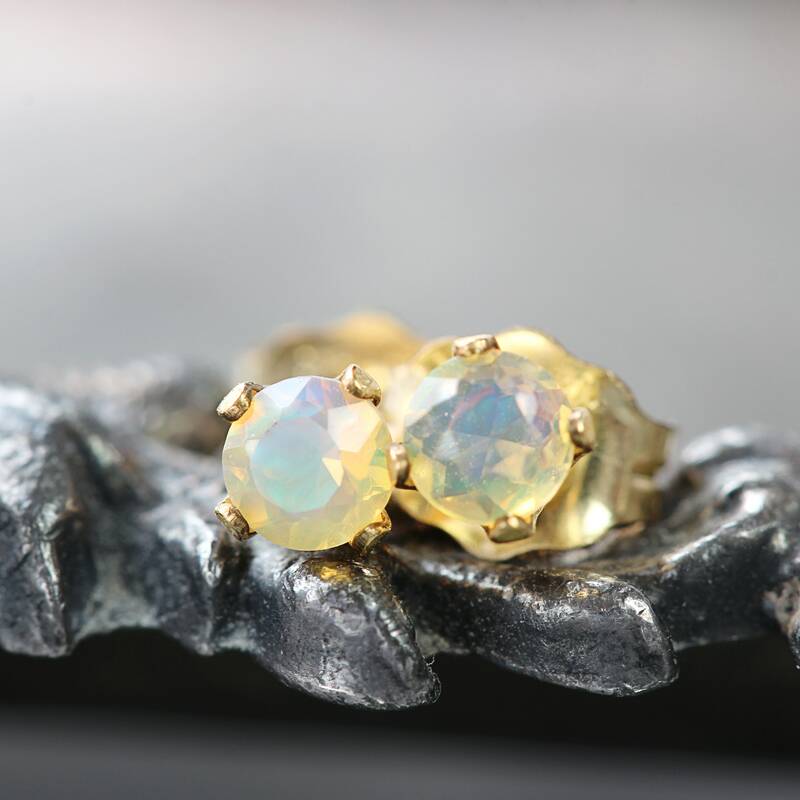 Vibrant flashes of fire run through these gems, dancing across their surface and changing with the light; flashing yellow, green, blue, violet, red and orange. 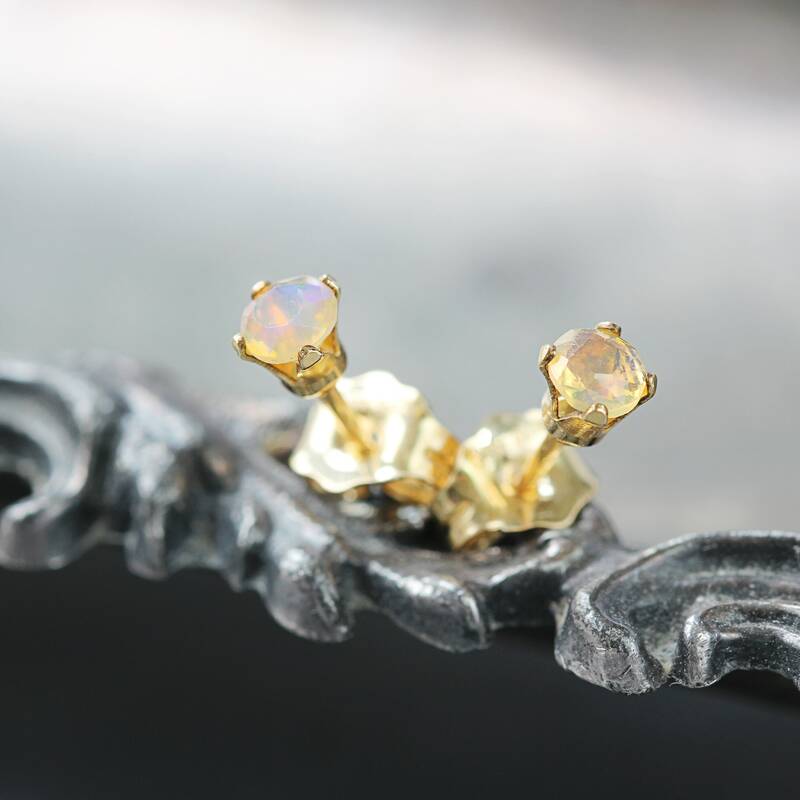 Set into 14k gold fill or sterling silver ear posts, they come with matching butterfly backs. 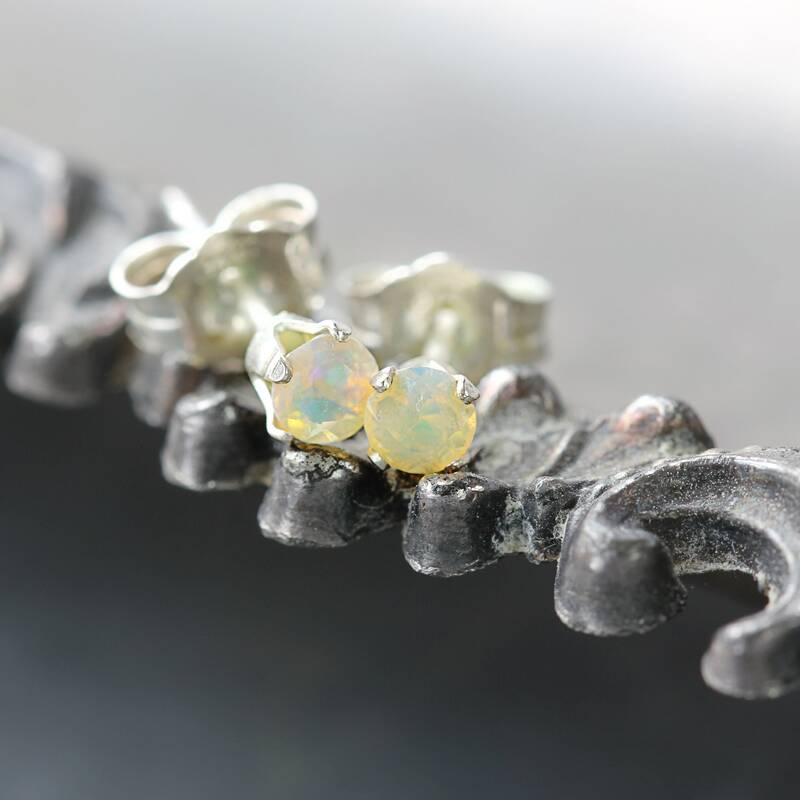 The opal is the birthstone for October, and is so incredibly pleasing to the eye - it inspires love, luck, hope and happiness. 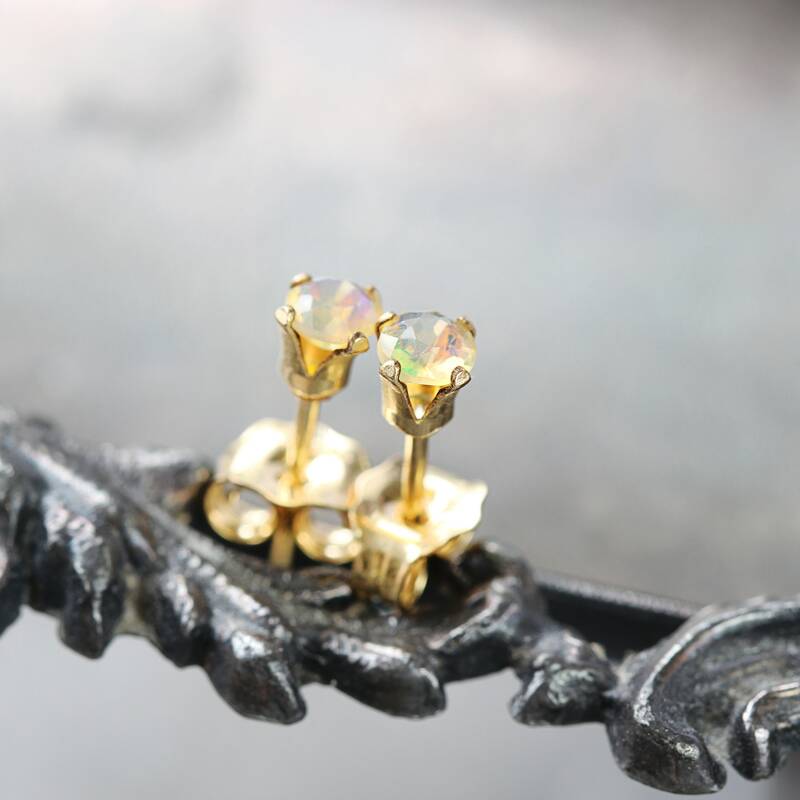 These exquisite little studs make a gorgeous gift for a loved one - for mum, sister, girlfriend, wife or friend - for any occasion such as a birthday, a graduation, a 34th anniversary, Christmas, or Valentines' Day gift. 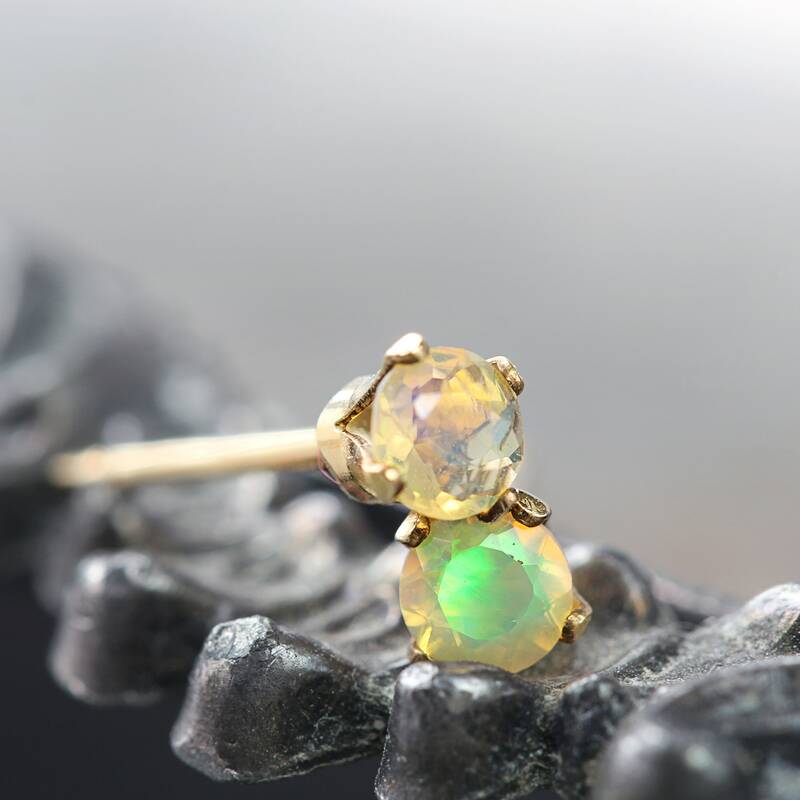 Ideal for those who like their style to be simple & elegant, and enjoy gemstone jewellery.